Oh..come on, its an old practice, isn't it ? Only Grand-Pas do it ! I cannot do those tough Asans ! Yoga is a science. Yes, believe it or not...it is the fact. I am not going to 'bore' you people by telling the long-old-classic definition of Yoga. For us simple people, Yoga is just a tool to be FIT and HEALTHY. Now, how does this work ? What does it contain ?For centuries, people had in mind the fact that, Yoga is something special. It is not for us. BUT, BUT, BUT...........Thanx to one man called Swami Ramdev who made Yoga and Pranayam a household name. Yoga does not mean those gruelling Asans only. What does he teach ? Swami Ji's main emphasis is on Pranayams. Pranayams are breathing excercises that anybody can easily do. His main pranayams include 'Kapaal-bhati' and 'Anulom-vilom' pranayam. Beside this, he teaches very few basic asans also - the easier ones. He tells you about the desi medicines which you can have at your home. Most of you must have seen people rubbing there nails, its an excercise which prevents hair-loss. I can bet you would have not even heard of half the diseases mentioned here(unless, you are a doctor!). Apart from this, if you are not suffering from any diseases, then Yoga ensures that you remain fit and healthy, ALWAYS ! CONSISTENCY. People start Yoga, do it for a few days or so and then leave it. And, can you guess the bahana every second person gives, 'time nahin milta yaar'. Well, it is the most important thing, you have to do it REGULARLY. Just half-an-hour(atleast!) a day, is NOTHING in compared to what you'll get in return. Second thing, do these pranayams only when your stomach is empty. Almost after 4-5 hours of your diet. Q. How do I learn these pranayams? A. The best way is to attend a week long Yoga-Science-Camp. You can find more information for the camps at www.divyayoga.com. Another way is, you can learn it by watching it on Television -Astha Channel, every morning 6:00 AM and every evening 8:00 PM. Many other channels also show swamiji's programmes. And the easiest way is to learn from any person who knows it, and finding such persons becomes a much easier options when almost 20 Crore people of India are doing these Pranayams. Q. How much this cost? A. It does not cost even a single penny. Afterall, who can charge you for breathing. It is true that Swamiji's camp has a nominal fees of 500/- to 1500/- something(for a week, normally), which is also a very cheap option, compared to lakhs of rupees being spent on allopathic medicines. Beside this there's donation which is absolutely on your choice. Q. 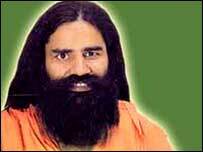 There are so many frauds these days, how do I trust this so called Mr. Swami Ramdev? A. Swamiji himself say, 'If you don't want to trust me, you are free to do so, BUT, just do these pranayams yourself and see the difference'(People have seen the difference in as short as 3 hours, when they have lost atleast 1-2 Kgs of weight in this short time). So, I strongly recommend Swami Ramdev to everybody- kids to teenagers to adults to elder people to everybody else. Miracles have happened to people doing these pranayams. Its your chance now, don't remain seated there and point your fingers to me, to Swami Ramdev or to any other babas....JUST DO YOURSELF AND SEE THE DIFFERENCE. Joh chalti thi kabhi, joh machalti thi kabhi ! I did not have any expectations from this movie ... BUT ! when its music got released(and became a smash hit), my opinions started to change. I thought, OK- it may be one of those movies which have good songs but a poor script(So what, if the movie is from Bhatt camp, they also give flops). But, no ! I was wrong. Movie got released and positive reviews began to flood in. I made my mind to watch it and BANG ! What a brilliant movie it was. I loved it. So, read the review, if you have not made your mind to watch the movie, GO SOON ! So, you are not going to listen to me :) OK, enjoy then ! First of all- it is not a dark-gangster story, its a love story. And that too - a very different one. GANGSTER is a story about a girl who is torn between 2 relationships. The story, screenplay and dialogues are very well written. But, most importantly, the whole credit goes to Anurag Basu who has steered the ship very well. Film's start is a bit shaky, but once you get the hold of the story (that is almost after half an hour), its a roller-coaster ride ! Interval Point, second half both are just brilliant. Its the pace of the story, the twists'n turns which holds your breath. The sign of a good movie is that you cannot predict, what's going to happen next - GANGSTER definitely has that extra-edge ! One of the most important aspect of the movie is its music. Pritam has done a wonderful job-Music of the film is already a smash hit. All the songs goes very well with the movie, every song has story running through it. And, offcourse, how can we forget some great lyrics by Sayeed Qadri, Mayur Puri and Nilesh Mishra. Go for it, guys !! !